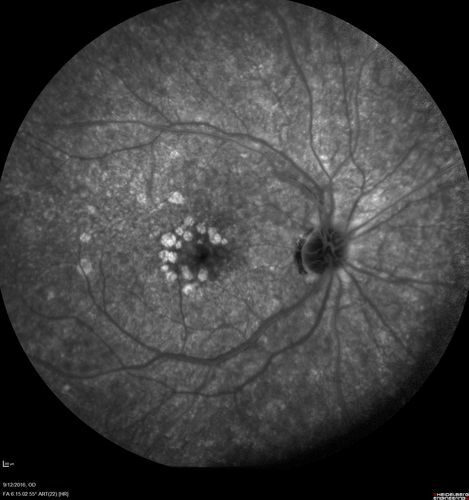 Severe outer retinal atrophy and RPE non-geographic atrophy from syphilis. Vision improved from 20/63 to 20/32 with therapy. Images look a lot like DUSN. Patient had several surgeries (vitrectomy for floaters, vitrectomy for macular pucker, Avastin injections and macular laser for edema) prior by other retina specialists prior to being correctly diagnosed and treated.